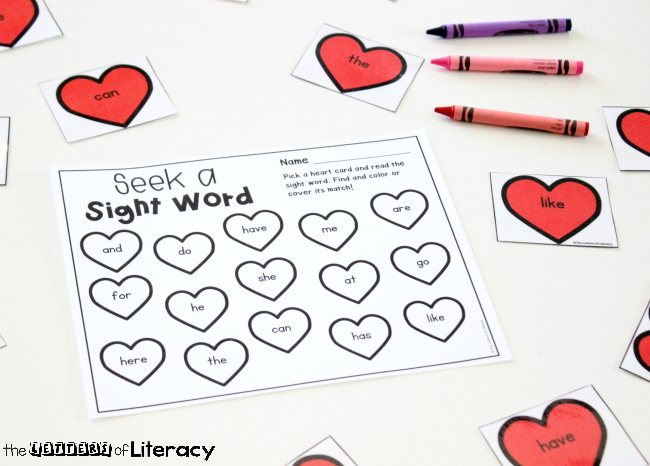 There’s nothing better than a Valentine-themed literacy activity to get your students excited about practicing sight words! 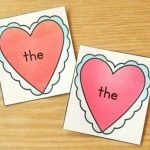 When there’s love, joy and red hearts all around your classroom this month, add more fun with this Valentine’s Day Sight Word Game! There are a few variations to this editable center activity that I know you are going to want to see. The best thing about this FREE printable is…it’s EDITABLE! The possibilities are endless with an editable activity. 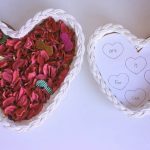 You can choose to use Valentine themed words, spelling words, High Frequency Words, Dolch Words, Sight Words and the list goes on! I am so excited for you to use this with your students and I have a few variations to share with you. Tip: Use candy hearts or Valentine themed manipulatives to “cover up” the hearts on the recording sheet instead of using crayons to make it re-useable! This would make for an easy prep center activity. Just download the editable file and type in your word list. 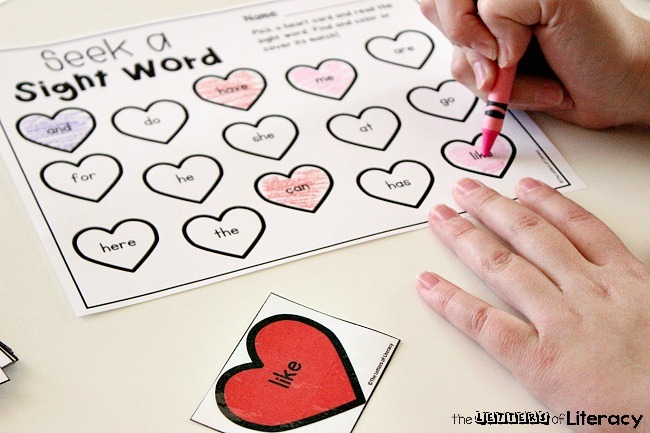 Print, laminate and cut apart the Valentine word hearts. 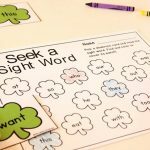 Place the Seek a Sight Word Coloring page in your literacy center with crayons and Sight Word Hearts. Students will draw a heart from the pile, read it, and find it on the recording sheet by coloring it in. The activity continues until all of the sight word heart cards have been read and colored in on the recording sheet. This variation is played similarly but in pairs. 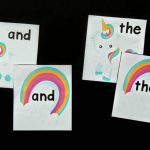 Two players share a recording sheet and each pick one color crayon that is their designated color. Player #1 draws a card, reads the sight word and finds it on the recording sheet and colors in the heart. Player #2 then proceeds as player #1 did. If a player doesn’t know the sight word, they must put the card at the bottom of the pile and they miss their turn. The player with the most hearts colored at the end of the game is the winner. 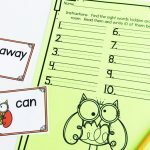 Children scatter the sight words around the classroom either alone or with a partner. 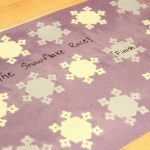 Students will use the recording sheet to color in the words as they find them around the classroom. 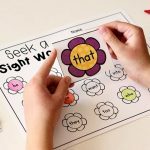 If this activity is used in pairs, then one child can hide the words around the classroom while his/her partner then finds them. Students then take turns and switch so each child has a turn to hide and seek. 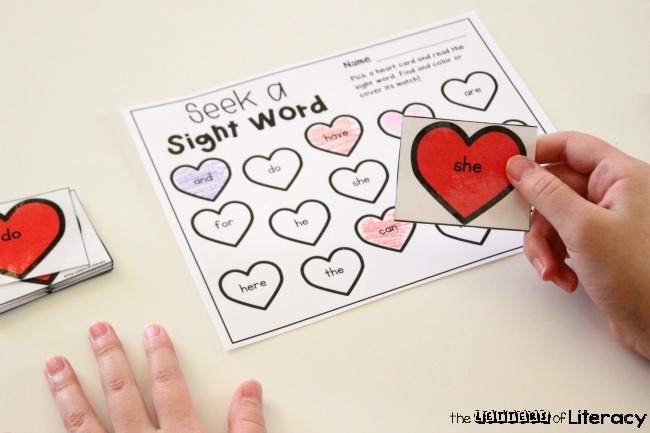 Ready for some Valentine-themed sight word fun? 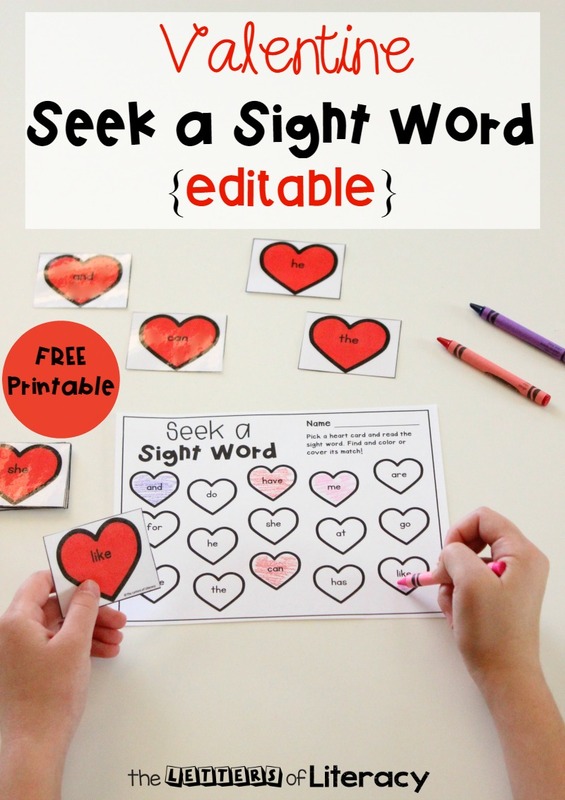 Grab your copy of this editable Valentine’s Day sight word game by clicking the blue button below. 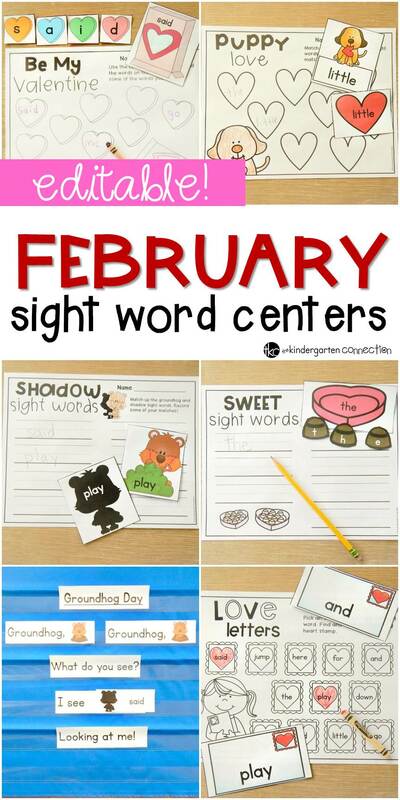 Then, you will want to be sure to hop over and check out our other Editable February Sight Word Games – your literacy centers will be a hit this month! Tip: Before downloading, be sure to have the most updated version of Adobe reader so you can edit the sight word hearts with your choice of words.